I finally watched Atonement over the weekend, and thought it a deeply moving, and beautifully tragic story. I’d been putting off watching the film as I wanted to read the book, but a friend recommended it so strongly I decided it was time. I’m so glad I did – it is a stunning film. The film is directed by Joe Wright, and is a masterpiece: not words I use lightly. James McAvoy is absolutely fantastic; delivering a powerful and riveting performance, and for the first time Keira Knightley really impressed me giving a glimpse of the great actress I think she will become. 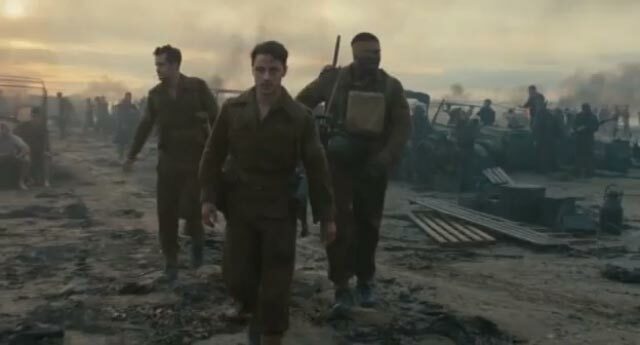 There is one scene in particular that is simply brilliant; James McAvoy’s character arrives at the Dunkirk beach for evacuation and the camera follows him and his two colleagues around the beach for five minutes. A single, constant steadicam shot that weaves around the beach picking up the three characters at different points as it moves around. This scene was shot on Redcar beach with over a thousand extras in just one day; they took just four takes of the steadicam shot using the third. A fantastic piece of film making and cinematography. You can watch this fantastic scene on YouTube – sorry but I can’t embed it here. If you watched the clip or have seen the film you will have heard the wonderful, and at times haunting music by Dario Marianelli; a soundtrack (Spotify link) so perfect that it is as important as the actors and director. If you haven’t seen Atonement I can’t recommend it highly enough.